Still more amazing pledging going on! $125,000 ACHIEVED – THANK YOU!!! 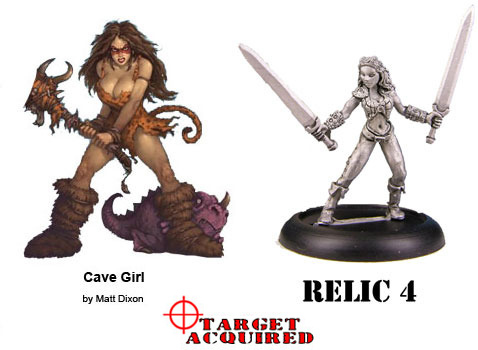 Matt Dixon’s Vixen the Cave Girl is available as an additional Babes choice at any level that has a Babes choice as a reward. Along with that we added a Bombshell Relic 4 to every BOMB KIT for FREE! $135,000+ Another of Matt Dixon’s Vixens the Atomic Punks will be available as a Reinforcements Add-On Set for your additional pledge of only $10. 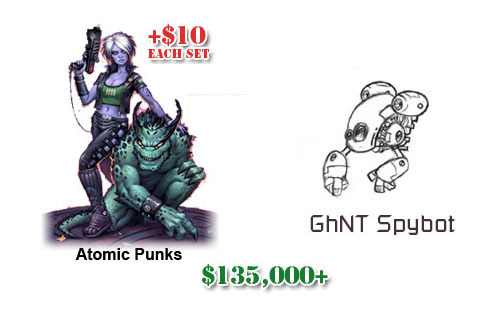 Along with that, when the goal is reached, we will add a Sidekick GhNT Spybot to every BOMB KIT for FREE!